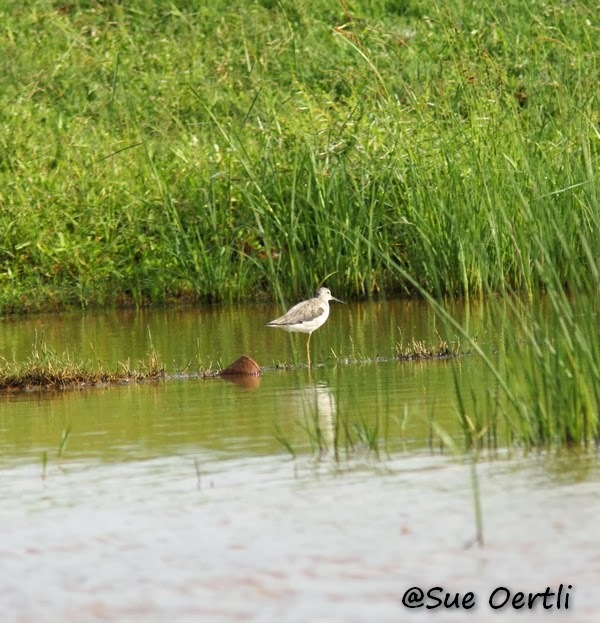 Wader Quest: Gauteng Challenge 2014 update N°2. Gauteng Challenge 2014 update N°2. 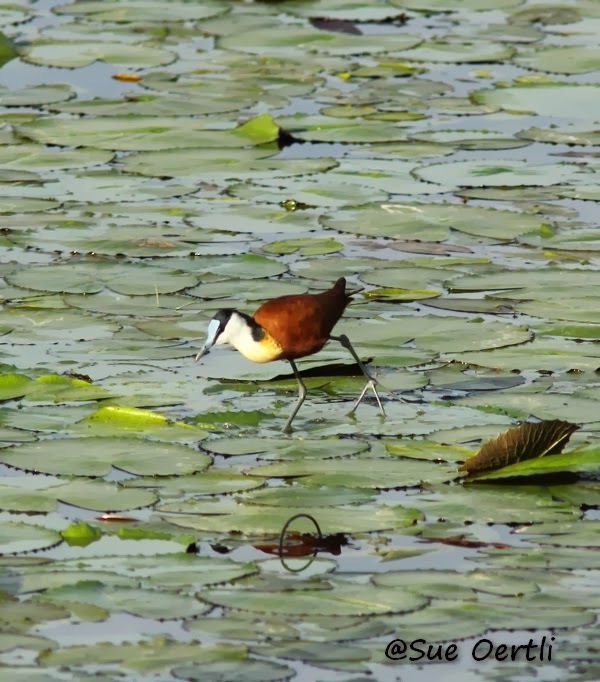 Sue Oertli of Wader Quest South Africa is carrying out the Gauteng Challenge 2014. 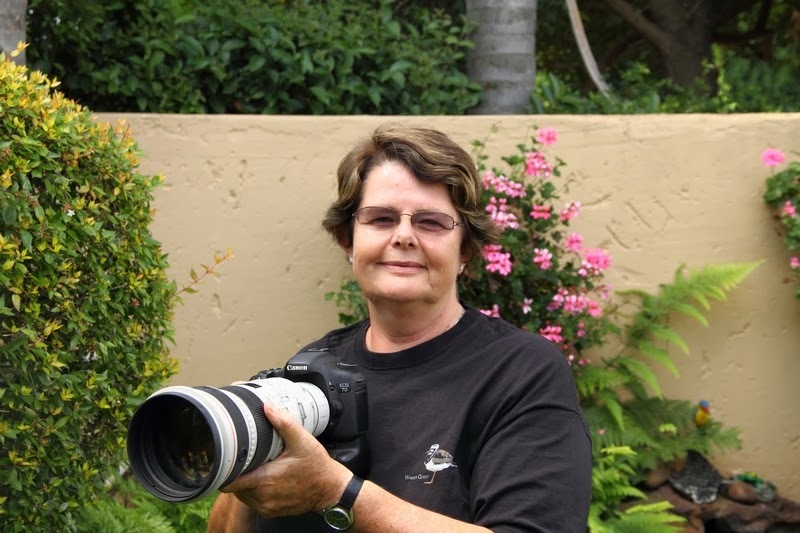 She is raising money for the Spoon-billed Sandpiper captive breeding programme being sponsored to photograph all 40 wader species that occur in the greater Gauteng area. Sue, seen here sporting a rather fetching Wader Quest T shirt. Following on from Sue's initial success the other day when she clocked up her first four species, she has been at it again. This time she has photographed ten new species for her challenge over two days at a place called Kgomo Kgomo. This site is a semi rural village about 100km from Pretoria. In seasons of good rainfall (November to March) the Pienaars River which flows past Kgomo Kgomo can create an ephermeral floodplain of some 27 sq.km. A perfect habitat for numerous waders to spend their time, and wader photographers too I suspect. 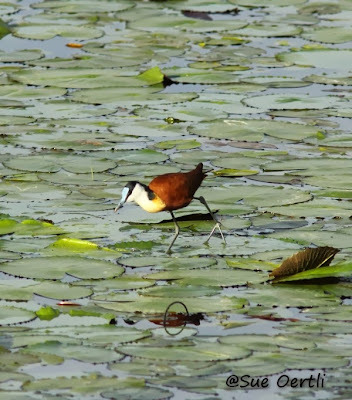 Numerous African Jacanas were seen on the flooded grasslands and among lillies. 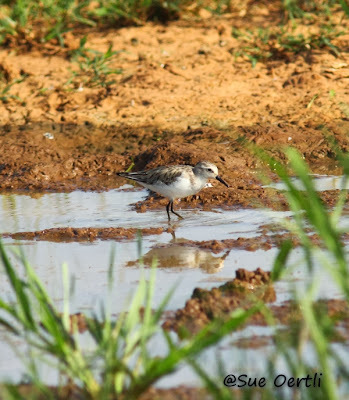 A bird that we were really thrilled to see which had been high on our hit list for our visit in August and September was the Kittlitz's Plover. I'm not sure though if it was just the name that attracted me at first, but once I'd seen one I came to admire this little bird for its classic lines and plumage. 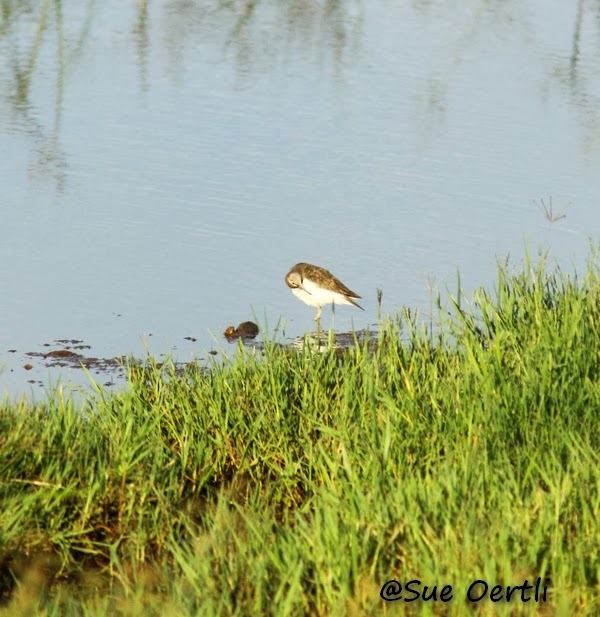 Sue rerports that there were numerous juveniles around which indicates a good breeding season hopefully. During the whole of both days Sue only encountered on Little Stint. But not so the Black-winged Pratincole a species that we at Wader Quest have not seen, nor are we likely to. One did show up briefly here in the UK when we were here in the summer, but it didn't stick giving us no chance to twitch it. 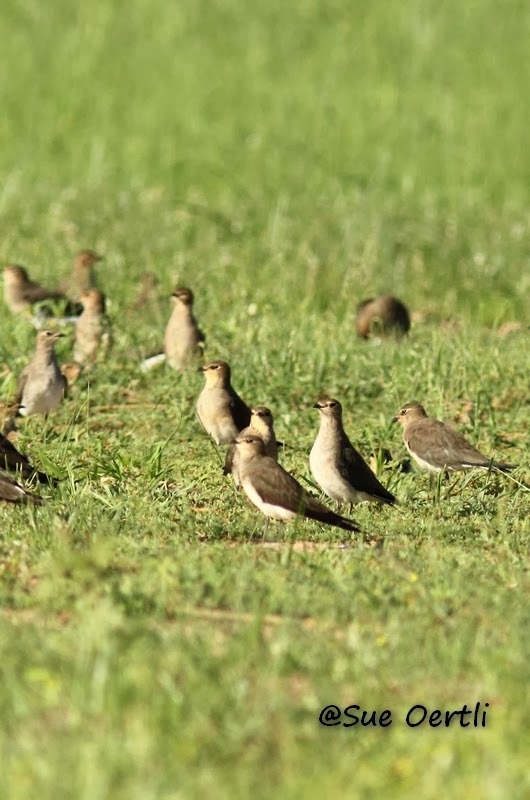 We arrived in South Africa just too early for these birds by a week or so and, as with our experience in Australia with Oriental Pratincole, there was no sign of any early migrants. This picture shows part fo the 50 strong flock that Sue saw on both days of her visit to Kgomo Kgomo... ouch! 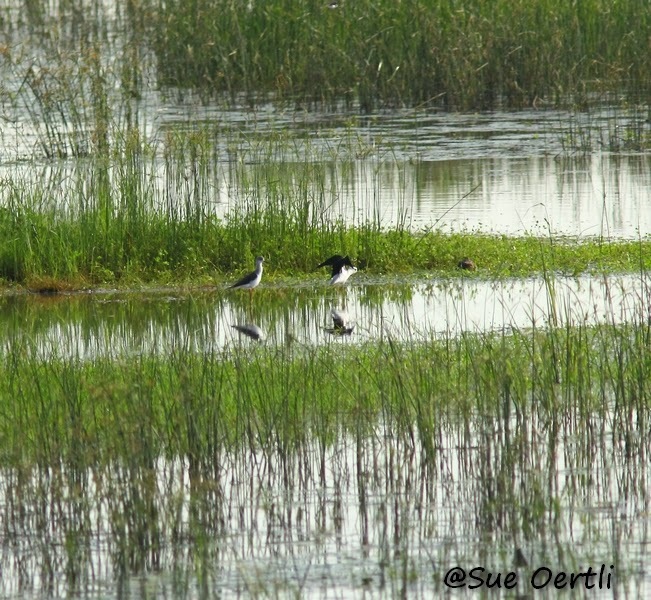 Next she came across two more species that were each represented by a single individual, the Common Greenshank and the Common Sandpiper, they were both photographed in a flooded, eroded section of the area near the houses of the village. 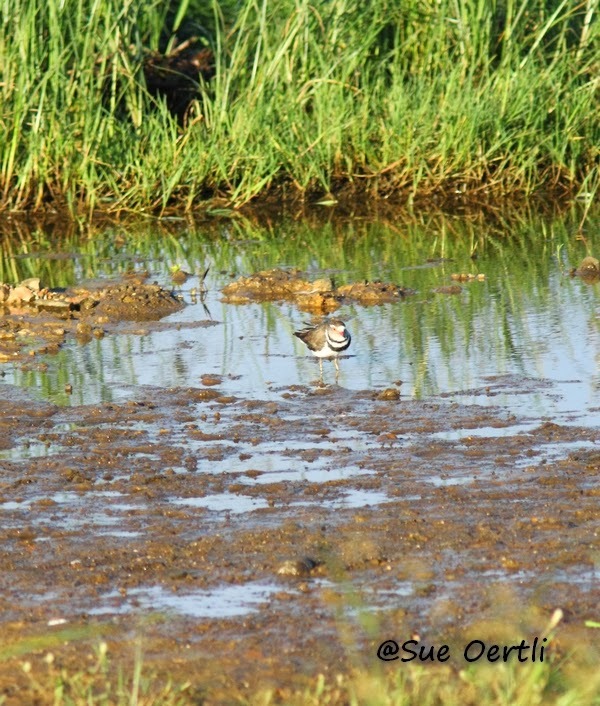 Three-banded Plover, a bird we were told to expect on every puddle in the country, but which we struggled to see very well for all its ubiquity. When we did get to see them they were almost always on the far side of the river or pond or, when they were closer they always seemed to be against the light making photography for Elis a real problem. Sue saw numerous birds which were being territorial chasing away other species from their chosen feeding patch. 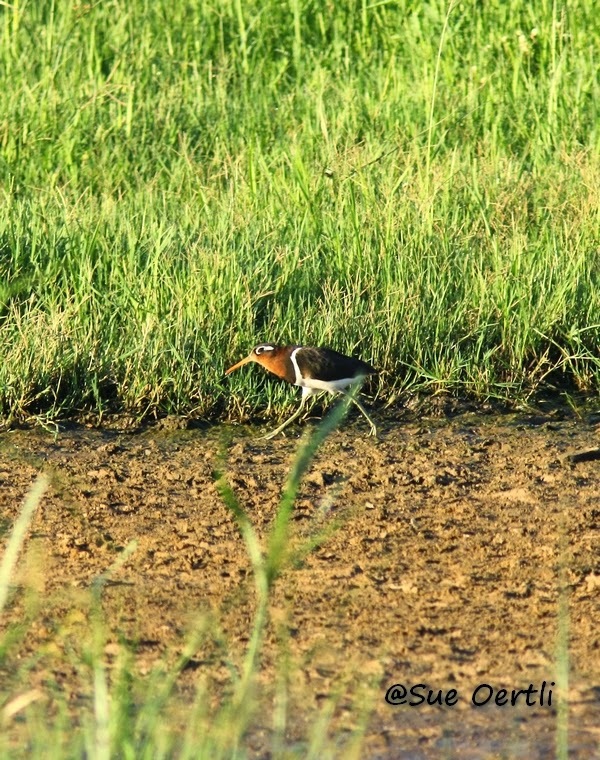 In the same area as the Three-banded Plovers there were a few Wood Sandpipers foraging along with the Common Sandpiper. 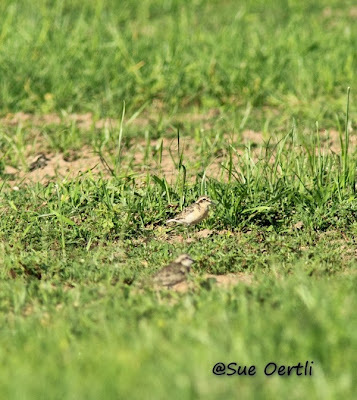 Greater Painted-Snipe are difficult enough to see let alone photograph but Sue was lucky enough to see a pair in the open on the first day, sadly she could not relocate them on the second. 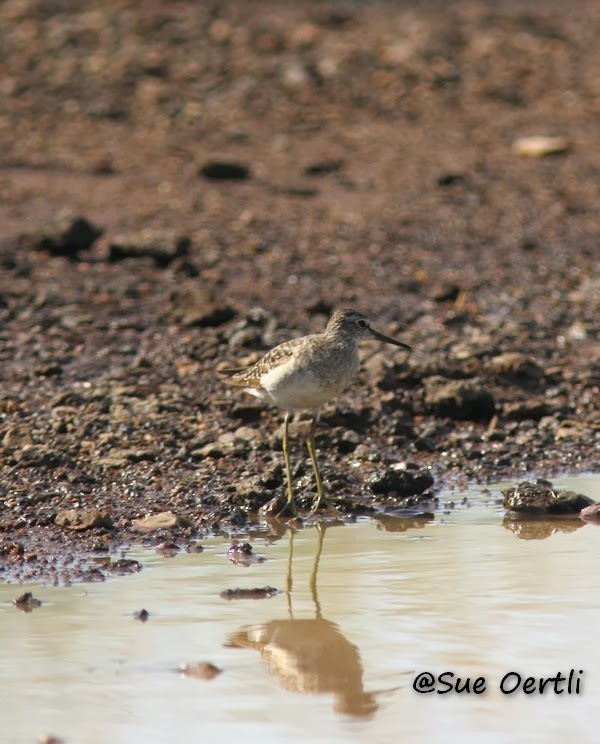 The only new addition to the haul at Kgomo Kgomo on the second day was Black-winged Stilt when a pair was found out on the floodplain at a distance of some 150m. Gauteng Challenge species total 14.